Teaching literacy classes to women and men in post-Taliban Afghanistan. Eight out of 10 people in Afghanistan today are illiterate, with women having virtually no access to education. This was not the case when Nasrine Gross grew up in Kabul. She had books, attended school and her mother was a member of Parliament. To be a voice for the same freedoms she knew as a girl, Gross became an advocate for women’s rights in the face of oppression from Taliban rulers. After the fall of the Taliban, she started teaching literacy classes in tents and homes in a socially acceptable format: couples were her students. Since women require their husband’s permission or presence to do most things, men are invited to learn to read as well. Gross now lives nine months of the year in a small village outside Kabul and has graduated nearly 500 students ages 15 to 82. She has also expanded her classes to cover math, health, and family issues and political education. Nasrine Gross got a taste of the grim reality of global terrorism two days before most Americans did, on September 9, 2001. 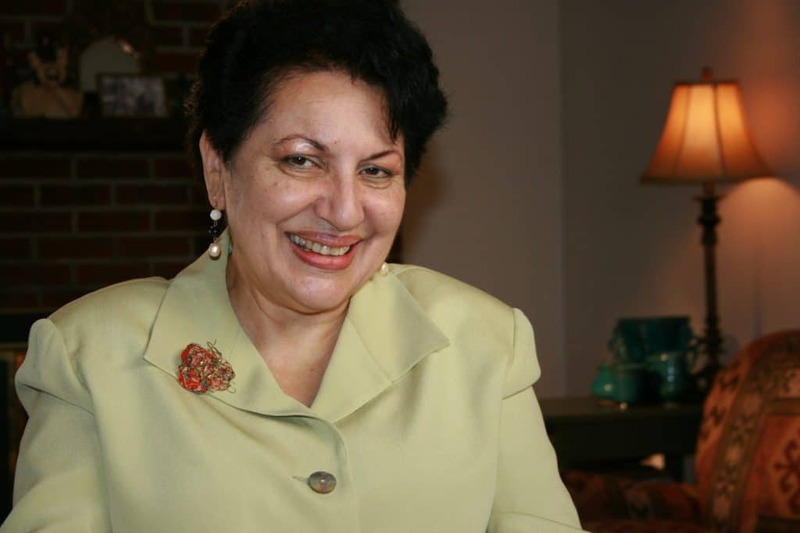 A native of Afghanistan who had lived many years in the United States, she was back with a group of American women she had organized to work for the rights of Afghan women. They were waiting to meet with the famous Northern Alliance resistance leader Ahmad Shah Massoud, who was fighting the Taliban and the first political leader to sign on in support for women’s rights in Afghanistan. At that moment he was assassinated by two Al Qaeda operatives. It wasn’t enough to be an advocate for women, Gross realized. “Imagine a land where the population cannot write their own name, read their children’s prescription, bus signs, their Holy Koran or even the names of candidates on the ballot,” she says. So in March of 2002 just months after the defeat of the Taliban, at age 57, Gross began conducting literacy classes as the fundamental building block for democracy. Her goal was to teach married couples together in the same class, a radical idea under the previous Taliban rule, where women and men mainly operated in different spheres. Kabultec has trained local teachers in literacy instruction in communities in and around Kabul. For two hours a day, about 20 local community members (10 couples) come to a tent or the home of one of the students and sit around simple tables, as in local schoolrooms. They learn basic reading, writing and math skills, using materials on women’s rights, the constitution, health care and family issues. For most, it is the first time they have held a pen or pencil in their hands. “I didn’t know I was blind until I took this course,” said one student upon graduation. When the couples finish, they are qualified to enter the fourth grade of regular school, if they so choose. One man who finished the course has become the community leader for his block, and one woman now leads a micro-finance group. About 480 adults, ranging in age from 15 to 82, have graduated from the program so far, and hundreds more have been turned away for lack of space. Gross comes by her dedication to women’s rights naturally. Her mother Roqia was a member of the Afghan parliament in the 1960s, before the rise of the Taliban. Gross left her mother and Kabul shortly after high school to attend American University in Beirut, where she met and married an American from Iowa. After raising their son in a Washington, D.C. suburb, she returned to research and activism for women’s rights. Her first book, Memories of the First Afghan Girls’ High School, traced the lives of her classmates from the first Afghan girl’s school and was published in 1998, at the height of Taliban power. Three more books have followed on women in the Koran, women running for political office, and Afghan peace building responsibilities. In 2000, Gross took part in an international women’s conference organized by NEGAR, a Paris-based Afghan women’s group. The following year, just before her unfinished trip to meet with Massoud, she worked with NEGAR to help draft the Declaration of Essential Rights of Afghan Women, a manifesto that was later presented to the new Afghan government. She spearheaded the collection of more than 300,000 signatures to support it, and the document laid the foundation for the section on women’s rights in the present Afghan constitution. Now 63, Gross lives nine months of each year in a small village about 25 kilometers outside Kabul. There are no roads or public transportation, and on snowy days, not even a mule can cross the patch of land leading to her house. During the three months of each year she spends with her husband outside Washington, she collects vegetable seeds from Americans to bring to Afghan widows, using her own garden as an inspiration. Symbolically, she has started to teach widows to make quilts embroidered with images of vegetables and flowers from these seeds. Gross has no illusions that her work will revolutionize Afghan society, but she hopes her “small, quality and innovative” organization can become a model for others to replicate. Small donations and her own money fund her classes, and her training pushes the teachers to open up their own schools to expand the concept. Gross was recently quoted on a front page New York Times article on the illegal and denounced practice of “baad,” giving girls as payment for offenses committed by relatives in parts of Afghanistan. Read the article here.